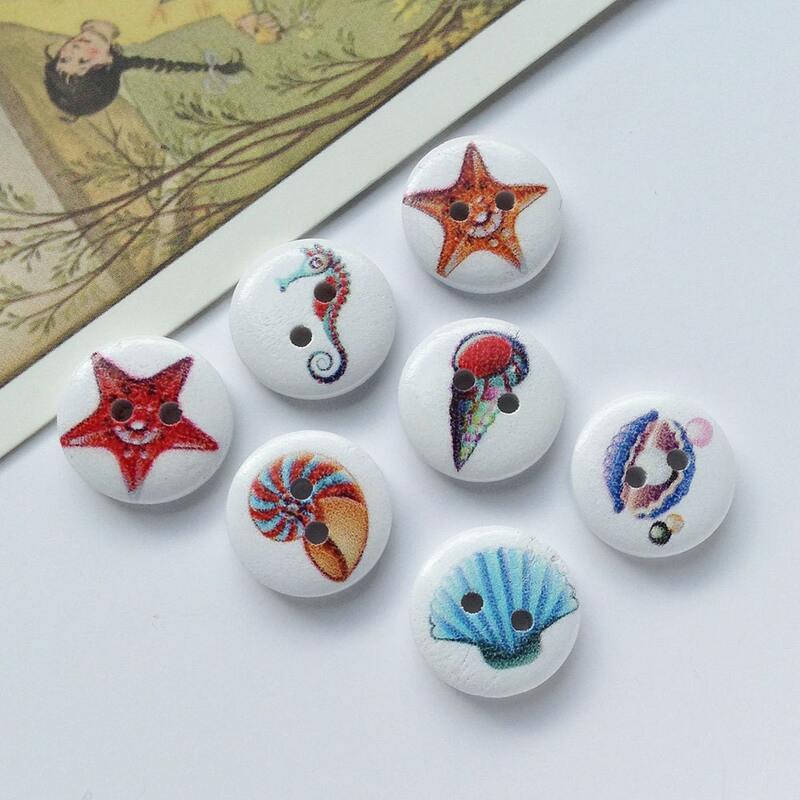 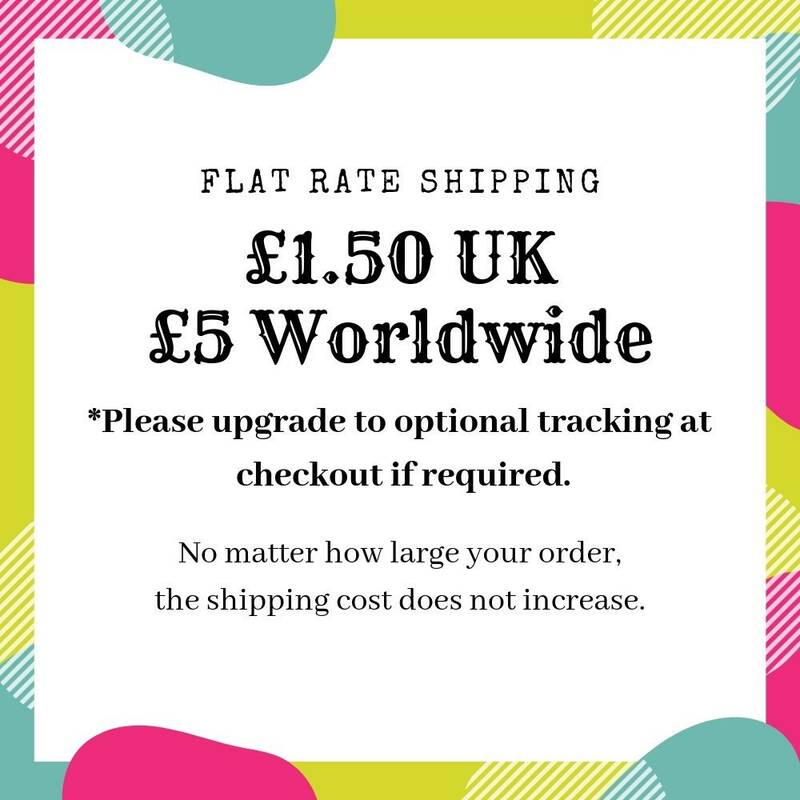 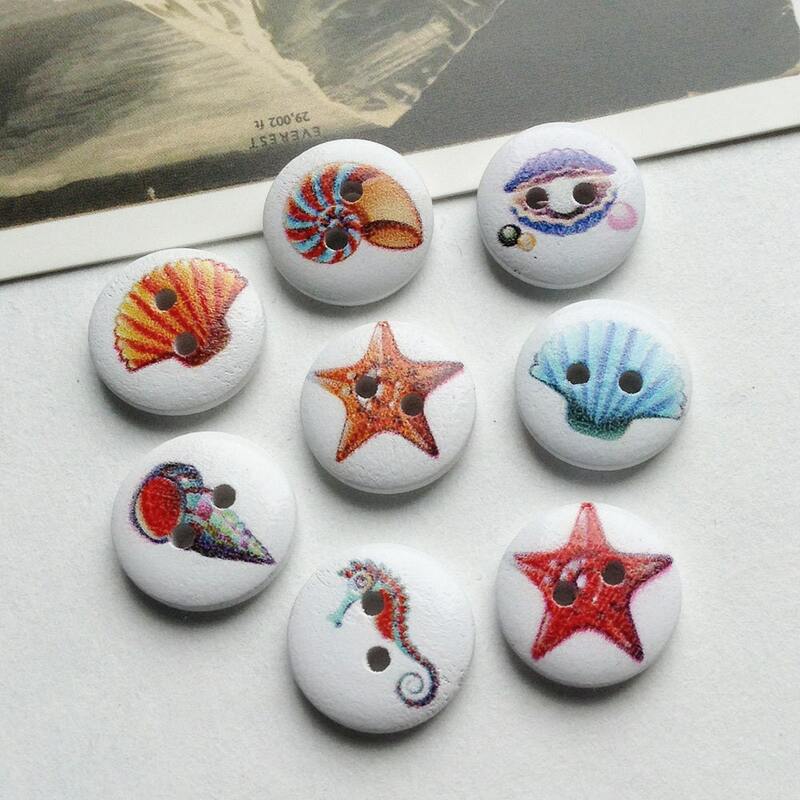 6 wooden buttons, each with a different seaside / nautical / marine life themed design. 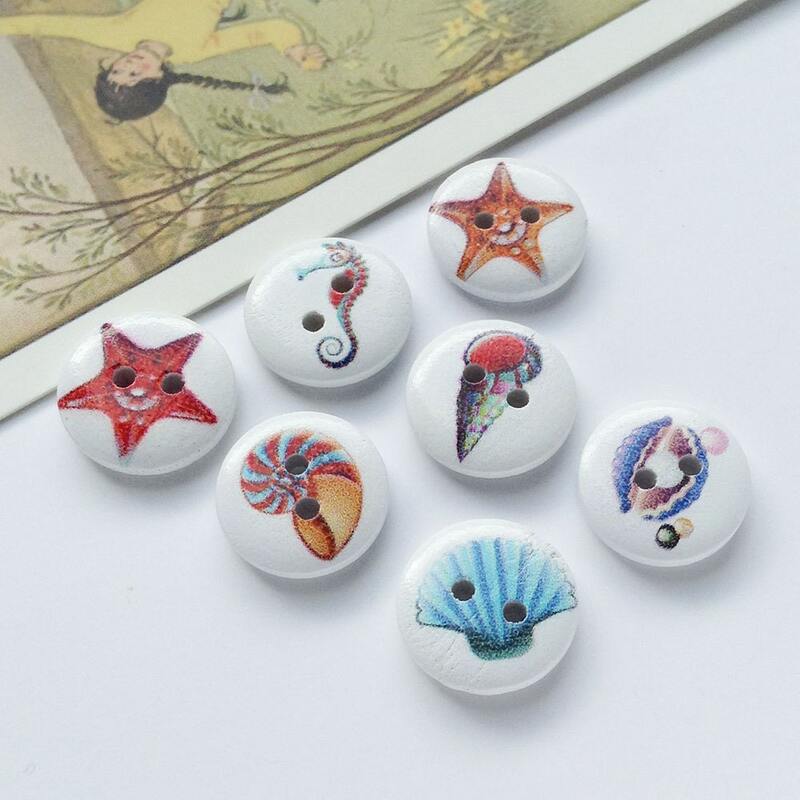 These buttons have a mix of starfish, shells and seahorses. 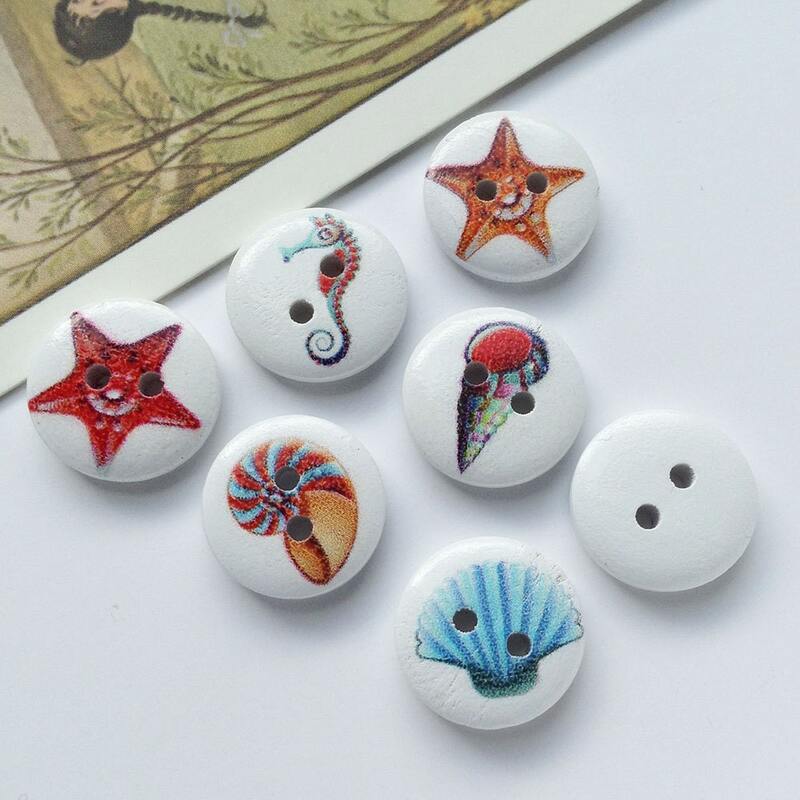 They measure 15mm diameter (9/16") and are 3mm thick with 2mm holes.